Chromatone has been producing electronic music for nearly two decades while also working as a pro audio consultant and mastering engineer. Chromatone has surprised countless audiences with his buoyant energy, brilliant beats, and positive vibes having appeared at nearly every major festival around the globe including Boom, Ozora, Rainbow Serpent, Burning Man (in Surround sound), Origin, Alien Safari, Antaris, and Universo Paralello. 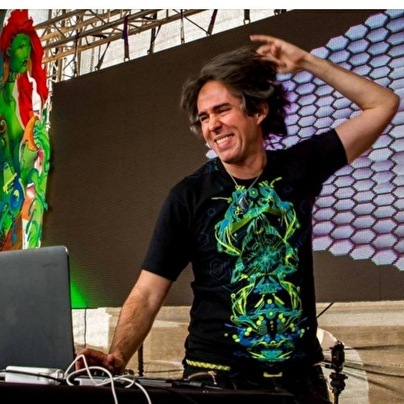 Through deeply spiritual and emotional connections to his music and an intrinsic understanding of audio manipulation, Chromatone has become one of the most powerful voices in Psytrance today, often preferring collaborations with countless top artists to procreate a wider variety of music. His masterful employment of intricate sound design take listeners on journey after epic journey through the uncharted territories of the mind.